As much as I loathe the term "World Music" I don't know what else to call this? 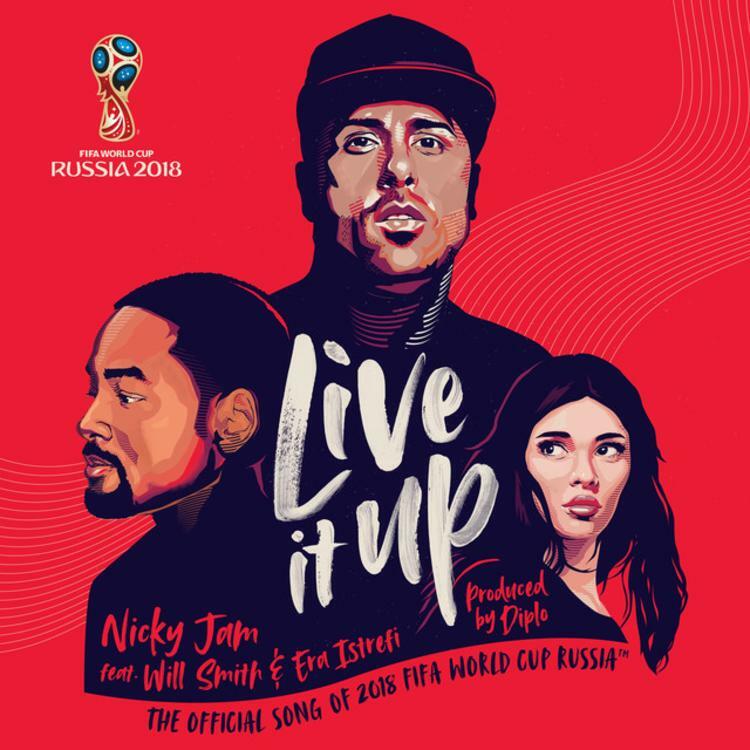 Thanks to Diplo every blade gets covered on Nicky Jam's World Cup Anthem, and yes that's Will Smith singing the 2nd verse. "Live It Up" will be performed by Nicky Jam, Will Smith and Kosovan singer Esra Istrefi during the closing ceremony of this summer's FIFA World Cup. After geeking out after witnessing Will Smith lip sync his record, Nicky Jam lobbied to arrange a meeting. Not only did they touch down but it seems, the seed was planted for future endeavors. "Live It Up," the official anthem for soccer's most prestigious event, gives us a fair idea of what a food processor can do with key ingredients, and a freshly sharpened blade. Latin music has only recently caught on with American audiences, but has dominated the selection process of FIFA World Cup Soundtracks, with Shakira, Ricky Martin, Pitbull and Jennifer Lopez making the cut in previous tournaments.